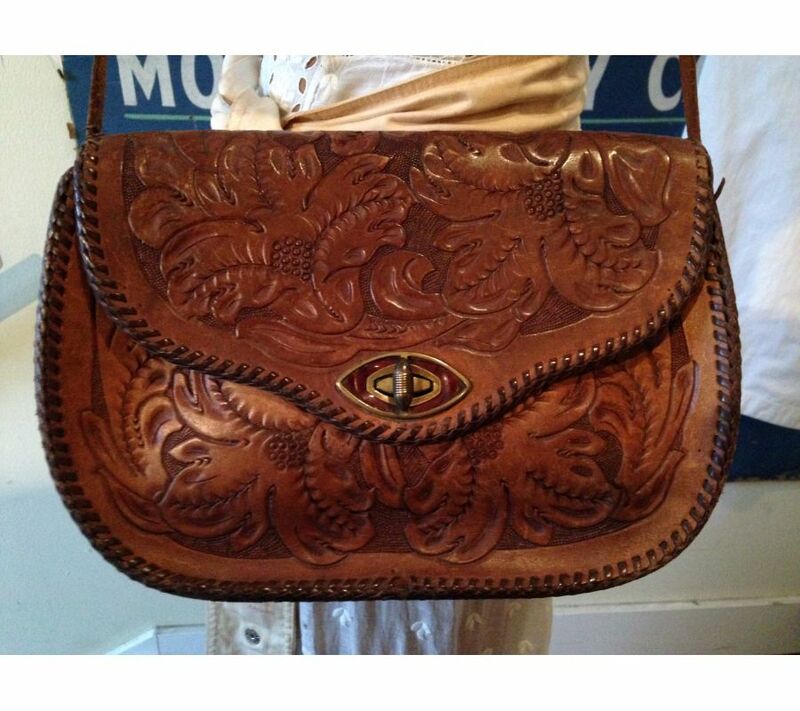 60s-70s tooled leather shoulder bag with highly detailed flower motif. Great condition. Soft, supple leather.